We Build, You Populate. Add content to your App including news, videos and streams. Engage fans and followers to build your crowd around the content you publish. Encourage your crowd to subscribe for exclusive content. Gain insight in to your fans and their behaviours. Consumers have changed their browsing and buying habits and brands are constantly playing catch-up. Brands who embrace the key ‘Who, How and Where’ of marketing communication will capture consumer attention and thrive. Sadly, Social Media doesn’t enable one-to-one marketing so esports teams and events need to look elsewhere to drive fan engagement and revenue. You’ll get your own unique login and CMS area used to add content to your App. That could be the latest team or event news, a cool new video interview with a top player or tournament streams on Twitch. The content added through the CMS is automagically available inside your mobile App making it super easy to keep fans updated on what’s happening. We’ll add your custom branding to the App including logo and colour scheme – you then add the content that will engage your audience. Fans can read articles, watch videos and streams, see upcoming fixtures and predict scores thanks to fluid navigation around the mobile App. You can also choose to include access to exclusive content with a fan subscription service. Heero will then create the team App and help list it on the App stores. 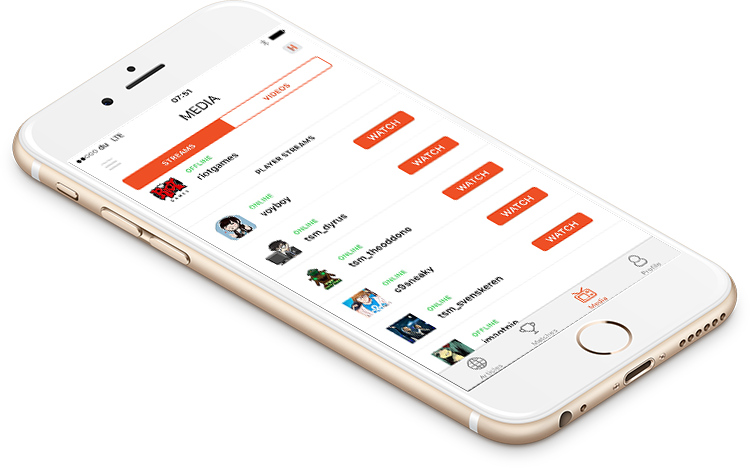 A reporting dashboard with stats on every User gives clarity on the biggest fans and how they use the App. Teams also gain visibility of subscriber numbers and revenue generated.